Sometime during the fall of 2010 (who am I kidding here, it was exactly Oct. 2, 2010, at 4:32 pm), I wandered into (actually I was sucked in against my will by the seductive aroma) Popcornopolis in South Deerfield, Mass., (curiously, located inside the Yankee Candle Village Store) and walked out with the most amazing gourmet caramel popcorn. As an admitted lover of good caramel corn, I have to say a few things about this gourmet popcorn. 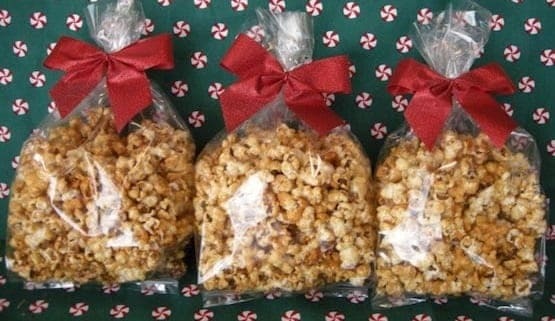 These people know how to make caramel corn! With its rich depth of flavor, Popcornopolis Caramel Corn is about as close to perfection as I have ever tasted. But as wonderful as it is, it is also very expensive. For years, I’ve tried to make good caramel corn, without success. It was either too soggy or too chewy. Or the caramel turned sugary. Once, I needed a hammer and chisel to get the stuff out of the bowl. I’d really given up until my encounter with Popcornopolis. I had to figure this out―I had to find a way to create a reasonable facsimile in my kitchen that would hit the mark without breaking the bank. I am excited to let you know is that I believe I have. 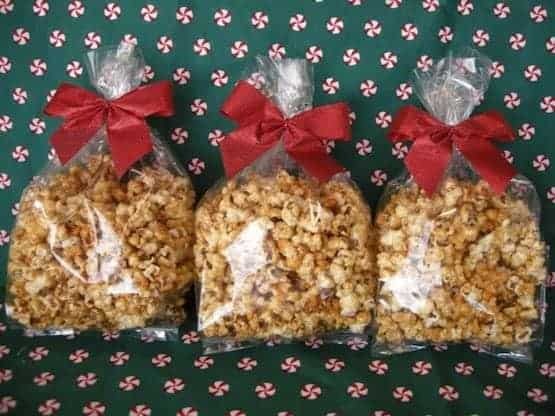 Just in time for the holidays, here’s a quick and easy way to make what I find to be amazing gift-worthy caramel corn, with both stovetop and microwave instructions, your choice. Either way, the secret to crunchy, caramelly awesomeness is to finish by baking the caramel corn in a low-temperature oven, stirring often. Place the popped popcorn into a big bowl, one that is at least twice the volume of the popcorn itself. Do not err on the side of a bowl that is too small, because you are going to do some serious stirring in a bit. Remove any un-popped kernels and set aside. Combine the brown sugar, corn syrup, salt, and butter in a saucepan. Bring to a boil over medium heat, stirring enough to blend. Once the mixture begins to boil, boil for 5 minutes while stirring constantly. Remove from the heat and stir in the baking soda and vanilla. You’ll get a little show here as the vanilla will “sizzle” while the baking soda gets all foamy and gorgeous. Make sure the mixture is stirred very well, then immediately pour over the popcorn. Stir well to coat all of the popcorn. Keep stirring. A little more … there, that ought to be about right. Cut the butter into chunks and place in a microwave-safe bowl along with the brown sugar, corn syrup, and salt. Microwave on high for 30 seconds. Stir well to combine. Microwave on high for an additional 2 minutes. Remove bowl from microwave and stir very well. Return to microwave and heat for 2 more minutes on high. Remove from microwave and stir in vanilla and baking soda. It will make popping sounds and get light and foamy. After stirring, immediately pour over the popcorn in the bowl. Stir well to coat all of the popcorn. This last step is critical, so don’t skip it. 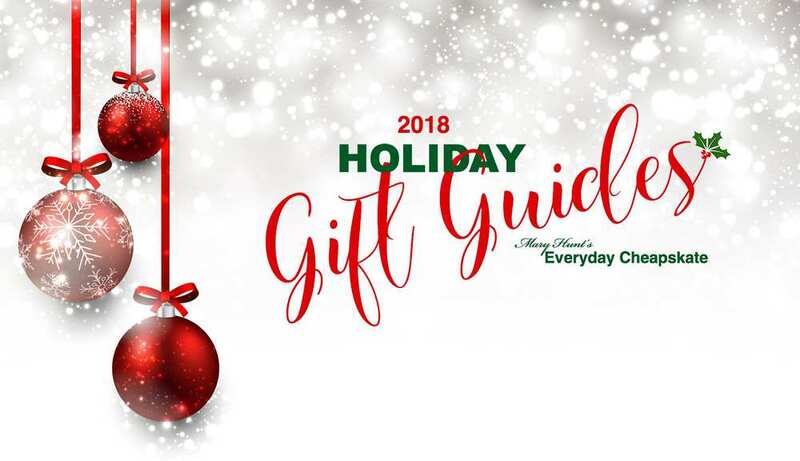 Sample the caramel corn to make sure it is fit for human consumption—perhaps even for gift-giving. You cannot be too careful here. 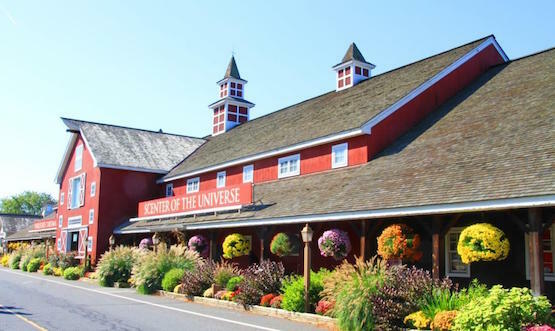 Once you are satisfied, and if any caramel corn remains, store in airtight containers or bags. 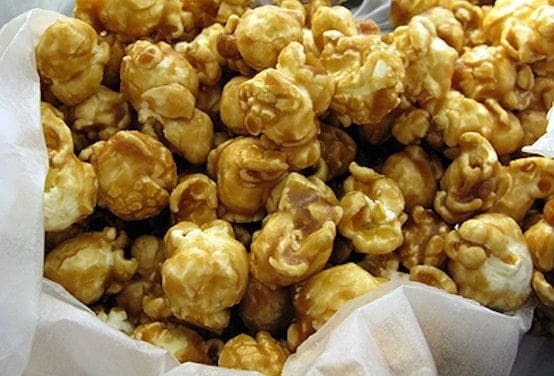 Now I am thinking about how I can replicate variations on this basic Caramel Corn. Popcornopolis comes in Chocolate Carmel, Pecan Caramel and—be still my heart—Cinnamon Bun. The possibilities are endless. I will keep you posted. Should you come up with a variation worth sharing, please do, using the comments feature below. Thanks!